"With this classic...cinéma vérité came into its own"
"The result is indisputably quite extraordinary: the impression of truth that comes out of these films is truly astonishing and convincing"
"a cinematic experience unique in the history of film"
"The camera records life at the moment where it happens, not for the picturesque or the rare, but because each second of existence, well observed, contains its weight in gold"
"These films offer new perspectives.... Their honesty, frankness, realism and lucidity are tokens of the extraordinary possibilities of a free and objective camera.... Add to that Robert Drew's and Richard Leacock's astonishing impartiality and exceptional sense of fair play, and you will realize that this kind of cinematography, if it is not absolute truth is, all the same, very close to it.... And this can go very far"
"The filmmaker who forged Kennedy’s relationship with the cinema was Robert Drew . . . Primary is the key modern American documentary." The first of four critically acclaimed films focusing on John F. Kennedy, this landmark documentary travels along with the then-senator as he campaigns against Hubert Humphrey for the 1960 Democratic presidential nomination. Allowing viewers to experience events along with the Kennedys, the film captures JFK’s rational, charismatic presence, the frenzied urban crowds, Jackie Kennedy’s calm radiance, and Humphrey’s populist appeal. Revealing the personalities and politics of the campaign trail as they had never been seen before, “Primary” offers a compelling glimpse into the early career of one of the world’s most captivating leaders. Filmmaker Robert Drew pioneered cinéma vérité in America by developing cameras and sync-sound equipment that were for the first time small enough to move along with people and capture real life as it happened. 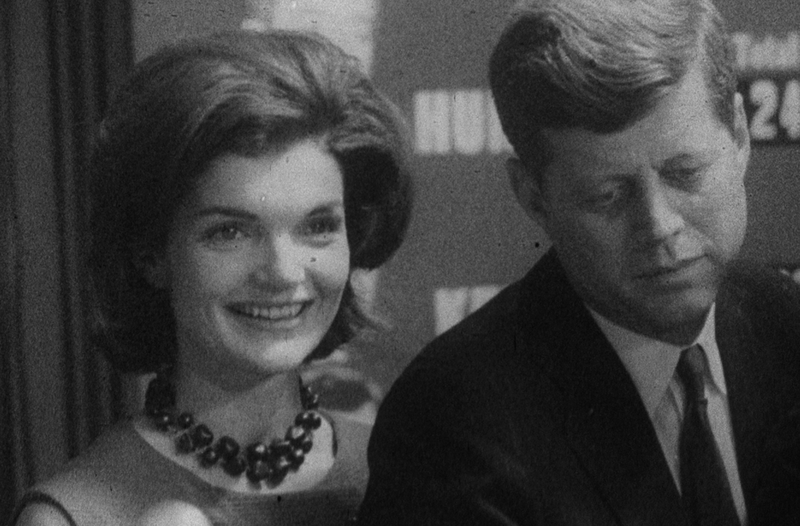 The groundbreaking films by Drew and his Associates set a new standard for documentary filmmaking, creating what John F. Kennedy understood would be a new form of history. Although the film received raves when it was shown in Europe, none of the three U.S. television networks saw much merit in the unusually intimate and candid portrait of a hard-fought campaign. “You’ve got some nice footage there, Bob,” Drew recalls the head of one network telling him before waving him out of his office. Time-Life broadcast the film on its wholly-owned independent stations scattered across the country, but it did not receive much coverage in the U.S. until after European film world embraced the storytelling style as a new high art. In France, a 26-minute version of “Primary,” edited by Richard Leacock, drew rave reviews when it screened with two other Drew Associates films in a four-week-run at the premier Paris avant-garde cinema house, La Pagode. “For the last six months it has become a rage. Whether one is in Venice, Paris, Tours, Rome, Moscow, or Leipzig, after five minute’s conversation they start talking about Drew, Leacock and their crew who are revolutionizing motion pictures,” wrote Georges Sadoul in Les Lettres Francaises in the spring of 1962.